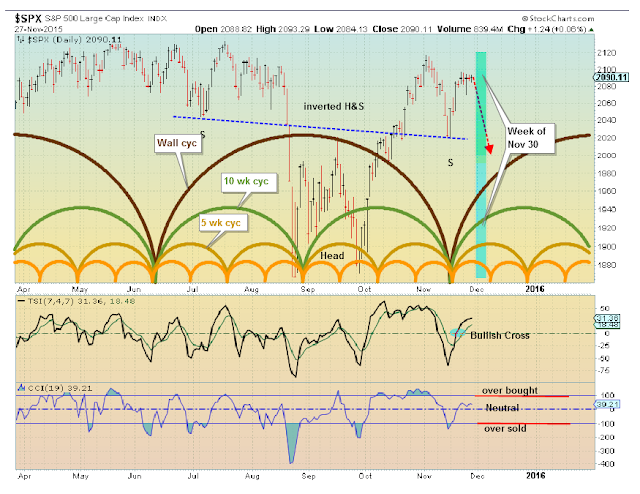 Appears an inverted H&S pattern almost ready to complete (in a week or so). With some short cycles still up (as well as the Wall cycle) I expect more sideways as the market attempts to make new highs. 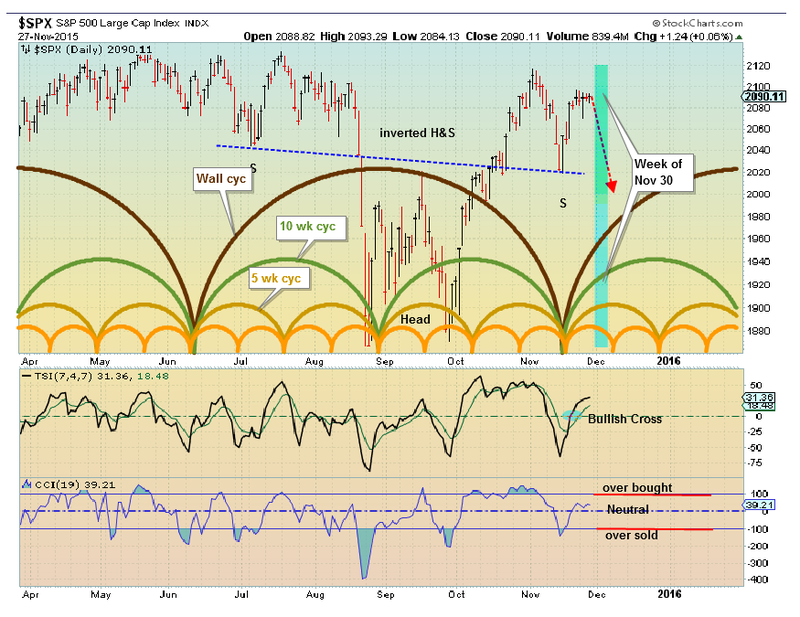 Even though new highs are within range looks uncertain if there is enough upside force to achieve new highs. Best guess is we continue sideways in a narrow range near term. Nov 5, 2015 gold bottom near?